For this holiday foods editorial shoot, a chef and his recipes were at the center of the story. We were shooting on location at his home and he was preparing a full holiday spread complete with about 10 different dishes. The Art Director wasn't quite sure how many pages the final story would run so he wanted to make sure there was a variety of shots. After talking about the story, we decided to shoot each dish in a way that would capture the action of the chef cooking it, as well as the final still version of the dish. Here are a few of my favorites from the shoot. Take a look at each and decide which you like better. In this dish, the chef was preparing a take on a Yorkshire pudding. In the shot on the left, you can see the chef ladling the batter into a cast iron pan filled with hot oil. Once the batter hit the hot oil, it began to bubble and rise up. On the right, you can see the final still version of the dish after it has baked in the oven. Which do you prefer? One of the main dishes was a grilled pork tenderloin. With this dish, there were two different opportunities for an action and a still shot. The first occurred with the tenderloin on the grill. 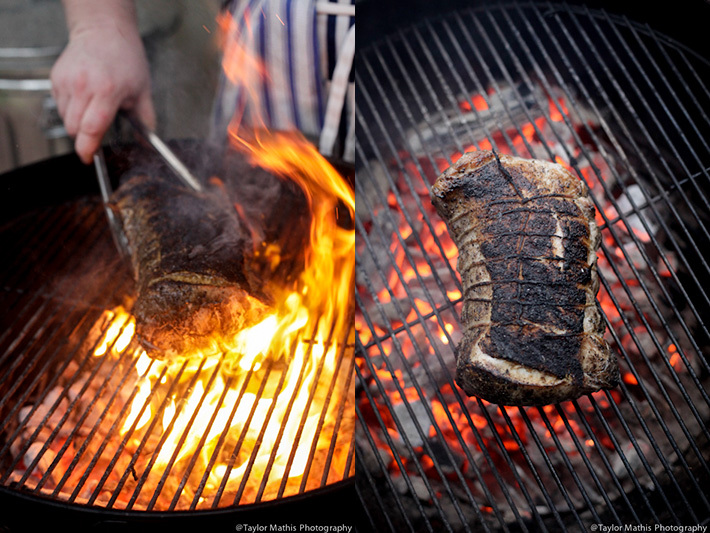 Above are two versions of an on-the-grill shot. On the left, the chef is flipping the tenderloin and creates movement and a nice trail of flames. 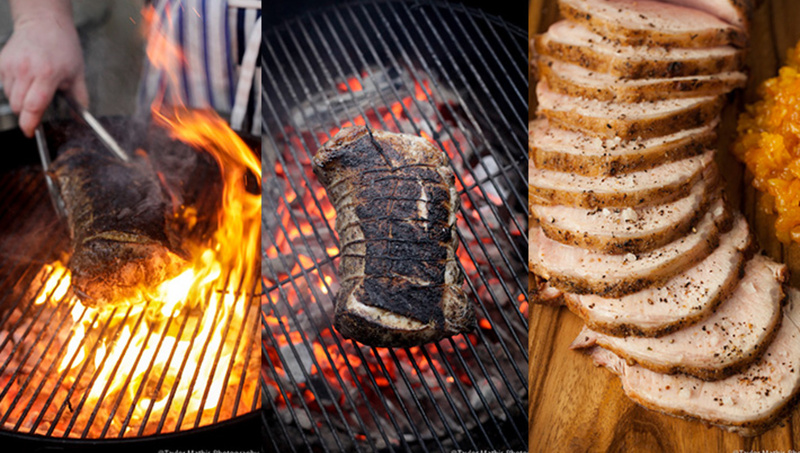 In the still shot on the right, the pork tenderloin is sitting still with the orange and red embers of the fire below. Which do you prefer? Once the tenderloin was cooked, there was an opportunity for a second series of action or styled shot. 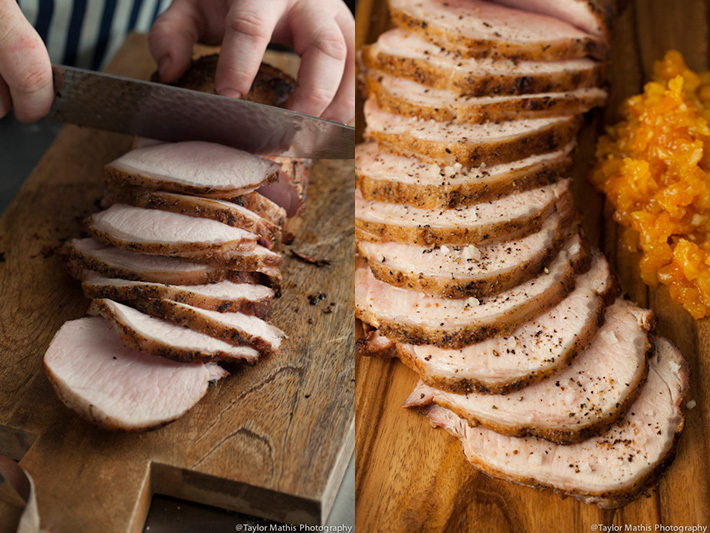 On the left is a shot of the chef slicing the tenderloin. 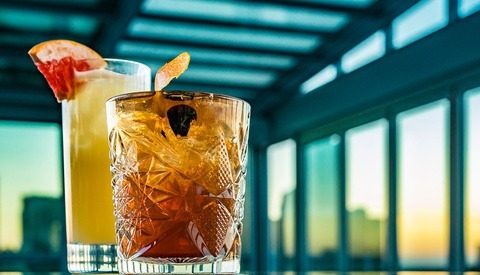 On the right is the final plated still shot. Which do you prefer? When it came to the dessert course, the chef had prepared a bundt cake with a sweet caramel type sauce. In the recipe directions, it stated for the sauce to be poured over the cake prior to service. Here is a look at an action and still shot of this dish. 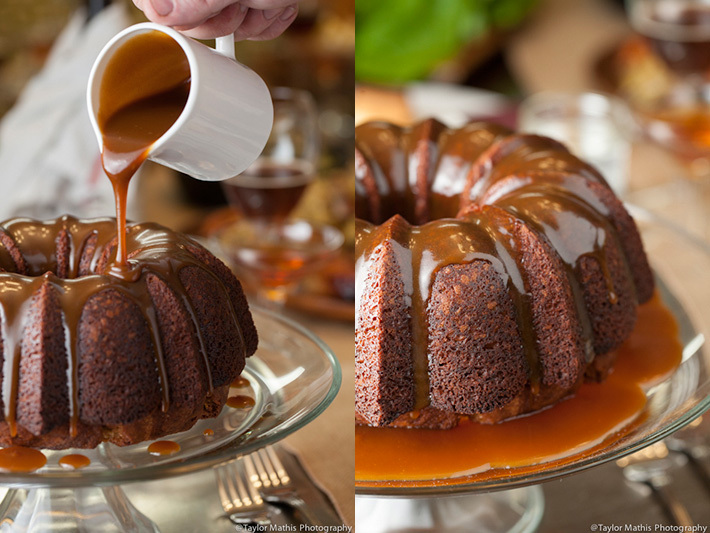 The image on the left is an action shot of the sauce poured over the cake. On the right is a still version with the finished cake ready for serving. Which of these two shots do you prefer? When working with a chef or cookbook author, adding in action shots of the person working is a great way to add personality to the piece. 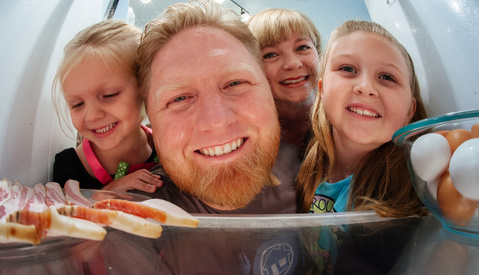 The key to the action shots was finding a shutter speed that would work with the specific action of cooking. If you are interested in learning more about this technique, take a look at photographing FOOD issues 1-8. 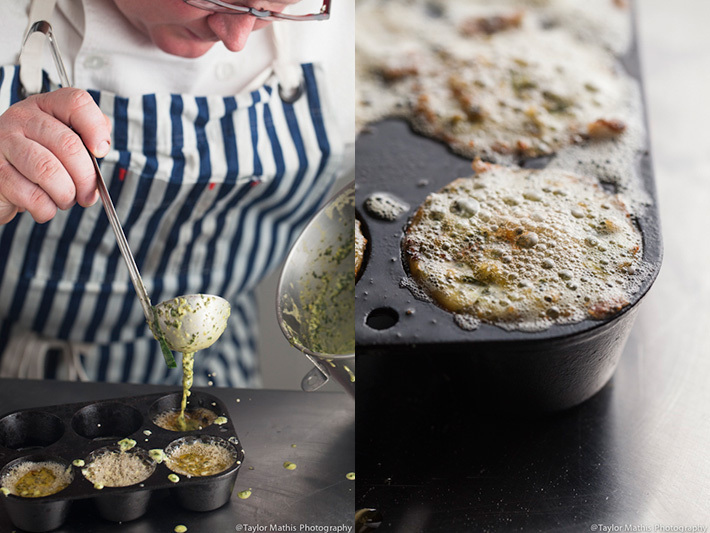 In issue 4, I go into great detail about using shutter speed creatively in your food photography. Honestly, I really like both images together. But if I had to choose as though my opinion mattered, the first image is the only one I prefer the action shot over the still, I also hesitated on dessert. All looks really yummy tho! Pour on the cake - I'd like to see the front of the cake in focus along with the cup pouring the sauce. So after reading these it seems like all my comments are either moving the focus or changing the lighting. I'm going to guess that since you have to take multiple test shots with the stills you have more of an ability to really nail the focus and lighting. But if it was on purpose for those looks I'd love to know your reasoning. All of the editorial shots are good, but I think that you take action shots particularly well. I love cooking and buying cookbook, therefore I'm drawn to the idea of what the food may become, rather than how the food came to be. Although action shots are good, it does not feed the purpose of the photos if the purpose were to get people to do it. Unless of course, the piece you are shooting is more of a lifestyle, restaurant'ish kinda piece where the food are sold together with the environment and the ambiance or if the chefs are the main subject. 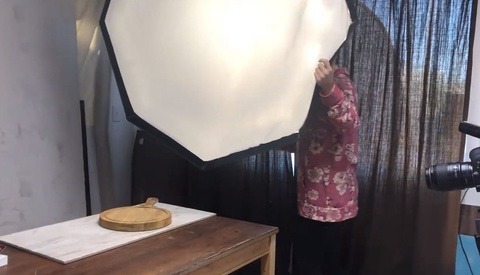 But if its for a cookbook where the reader are supposed to try and do it themselves, how the end product may looks like would entice more rather than just one photo of an action shot.